Daryl Johnson (Worcester Park, United Kingdom) on 20 February 2008 in Architecture. One more castle from my New Year trip around Shikoku island. 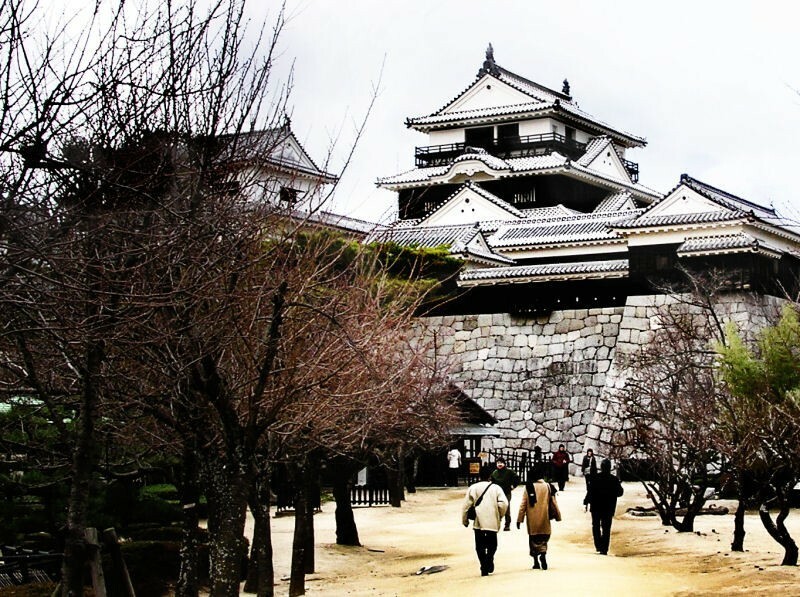 Another of the few remaining 'original' castles left in Japan (not counting reconstruction over the years because of things such as lightning strikes - 'original' basically means not destroyed during World War II), it was built between 1602 and 1628. What a beautiful image of a superb castle. @Michael Skorulski: Thank you Michael! @Bleak GardeN: Cheers Bleak GardeN! I like the image and the castle!! !It's good that there were some people around, it helps to warm up the atmosphere! I'm looking forward to more views of this castle! really love it. Good one here. next time, if you can sneak a tripod in, see if you can snap a 1/2" exposure to blur the people slightly ;-) might look pretty slick! Great shot of the castle! Was it very grand? @Elle: It was. Not as big as some castles in Japan though. Thanks Elle. Nice shot. The color treatment plus the bare branches give us the impression pf a cold and damp day. @vu@granby - Wolfgang Prigge: Impression? It was cold and damp Wolfgang! Cheers! Wow! Majestic! Nice composition on this, too. Your extended contrast range gives it a stark and geometrical feel, which is great with this subject. lol our castles are so diferent from yours, nice composition. @Shaahin: Thanks Shaahin. You're welcome.